ClearCalm 3 Clarity Restoring Mask is a twice-weekly mask developed to combat and prevent acne skin, prone to breakouts and blemishes. 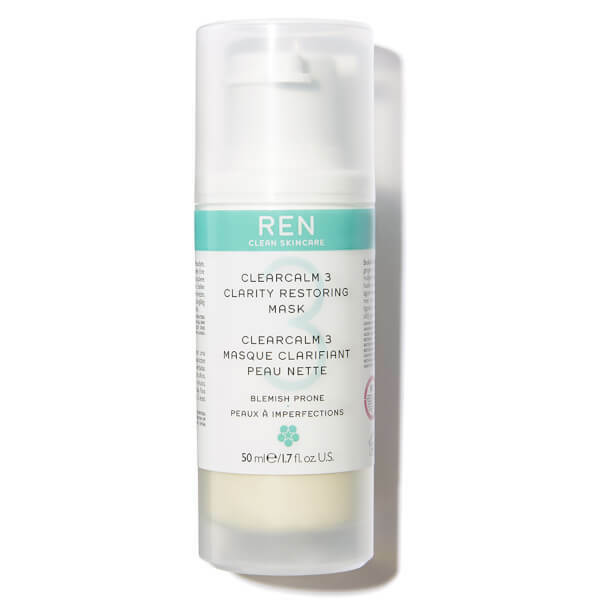 This clarifying and purifying treatment will reduce visible blemishes; absorb excess sebum while gently exfoliating to decongest blocked pores and blackheads. Formulated with 5% Sulphur, French Clay and Mayblossom Extract, ClearCalm3 Anti-Blemish Treatment Mask also reduces the appearance large pores and redress, leaving the skin looking clear, healthy, even-toned and soothed. 5% Sulphur - An acne active ingredient that exfoliates, reduces inflammation and is anti-bacterial. French Clay - A natural mineral that absorbs impurities and tightens pores. Calcium Carbonate - Absorbs sebum to reduce shine. Zinc Gluconate - A natural mineral that reduces redness and inflammation. Natural Salicylic Acid - Sourced from Willow Bark, Salicylic Acid is anti-bacterial. Essential Oils - Chamomile, Lavender, Sage & Manuka with soothing, hormone balancing and anti-inflammatory properties. Mayblossom Extract - A flavanoid that reduces the pore size. Konjac Root Power - Disperses oil to reduce shine. Camphor - Strong anti-bacterial agent that reduces pore size. Liquorice Extract - Reduces sebum production, reduces microbial growth while lightening hyper-pigmented acne scars. I have very sensitive skin and this is the only mask that does not sting or leave my skin dry. I can already see a difference in 2 weeks.